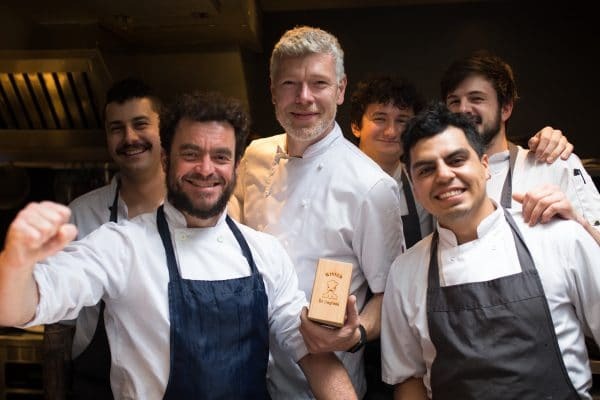 After being voted in at number 36 in the 2014 National Restaurant Awards eight months after opening, 64 Degrees Brighton climbed a further 12 places to number 24 in 2015, 16th in 2016 and to 30th in 2017. 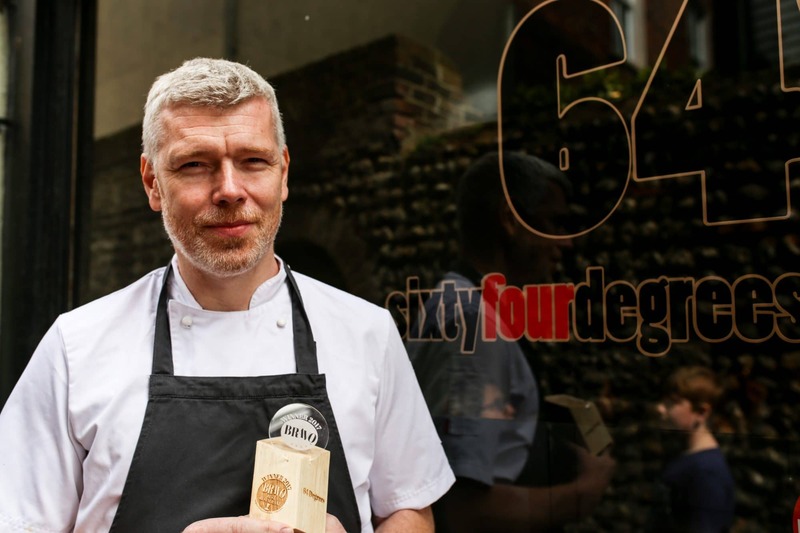 It was hailed last by The Guardian as: “Food-wise, the most exciting thing to hit Brighton for years, if not ever” – 64 Degrees has fast become the go to social dining hotspot along with winning plenty of local and national awards. 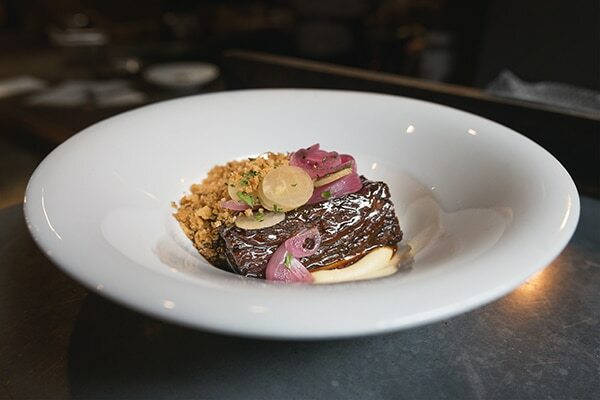 Chef and owner Michael Bremner’s philosophy for his first independent venture is “the food rules”, and it’s clearly evident here at 64 Degrees – the open kitchen is literally the heart of the restaurant, and the chefs are the focal point of the action. With the majority of the seating at the pass, guests can interact with chefs as they prepare, plate and present the dishes. The ever-changing menu features a selection of modern and innovative plates of food – designed so that you can order several to share. The modern-looking kitchen is as equally well designed and thought out – full of tech-gadgets, from water baths and dehydrators up to the induction range and plancha. 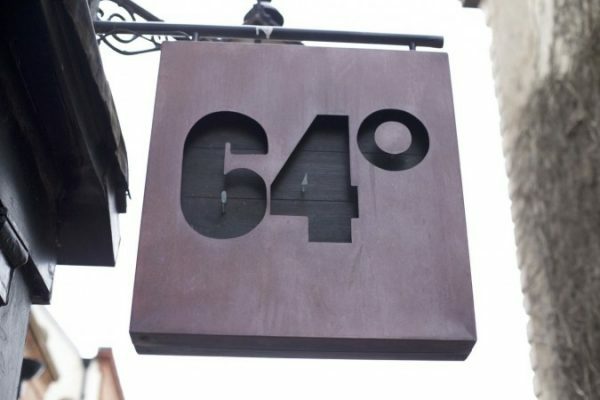 64 Degrees is, in the literal sense, an exact cooking temperature, but it’s also about the way we aim to execute things here – with precision. 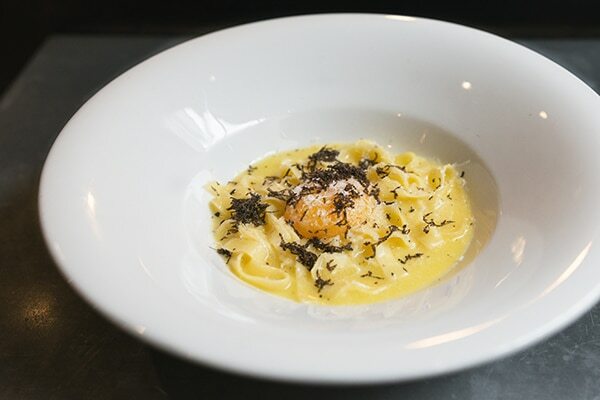 The dishes are modern and have an extremely high technical standard, but are still simple and above all else, accessible. This is reflected by the components on the constantly evolving menu; from confits egg yolks to fermented butternut squash. 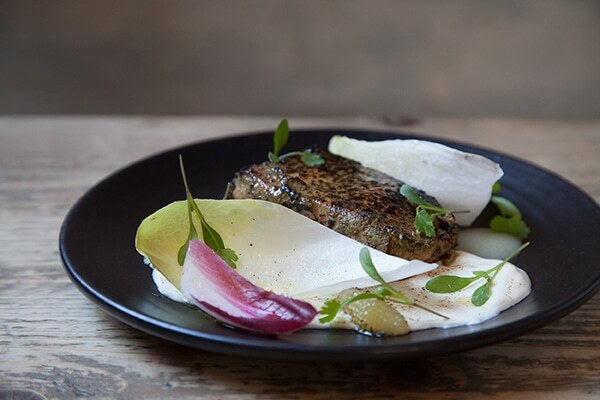 Sustainable and seasonal ingredients are carefully sourced from a trusted network of local suppliers such as BNFS, the fish wholesaler, offering locally caught seafood from day boats. 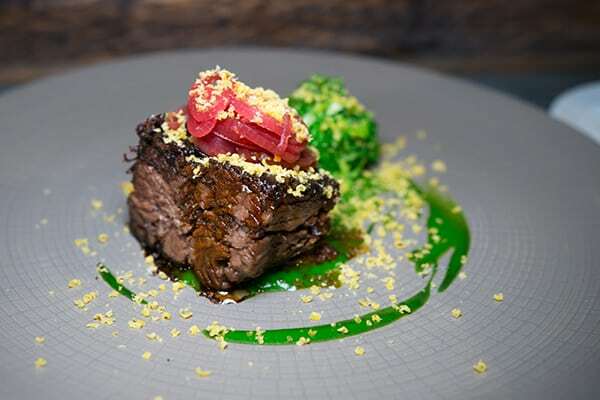 The Westdene Butchers are supplying cutting edge porcine treats, seasonal fruit and vegetables hail from Finn and Farm, while the wine list offers a selection of award winning, local sparkling wines courtesy of Ridgeview Estate. With a flurry of positive reviews and a fast-growing international reputation we agree that 64 Degrees Brighton is the most exciting dining destination in the city. Go there & experience it for yourself. Cuttlefish, pancetta, celeriac, gomassio; Tomato, romesco, bread, ricotta; and ox tongue, pea, jowl. 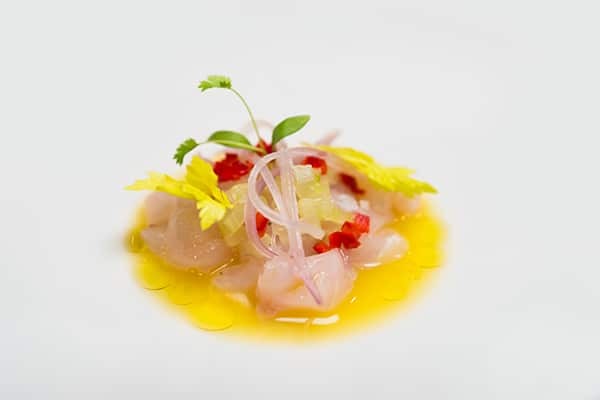 White wines include Gruner Veltliner, Yealands (Malborough, New Zealand), The FMC Chenin Blanc, Ken Forrester (Stellenbosch, South Africa) and Sauvignon Blanc, Garuma Vineyard Viña Leyda (Chilie). Have only just remembered to write a review on this restaurant as we eat here sometime ago. I had friends who had eaten here before and they said we had to eat at the pass because they had an excellent experience. So I booked well in advance as this place is impossible to book for a table at the weekend due to it’s popularity. At the time my wife was on a strange diet called FODMAP so this meant she could not eat certain foods. I put this down when we reversed our table online and listed the foods she could not eat. When we arrived the chef personally spoke to my wife at the pass to let her know what he was going to prepare for her, this was very well received by my wife. All in all really good quality food and it was great chatting with the chefs and watching them prepare our food. 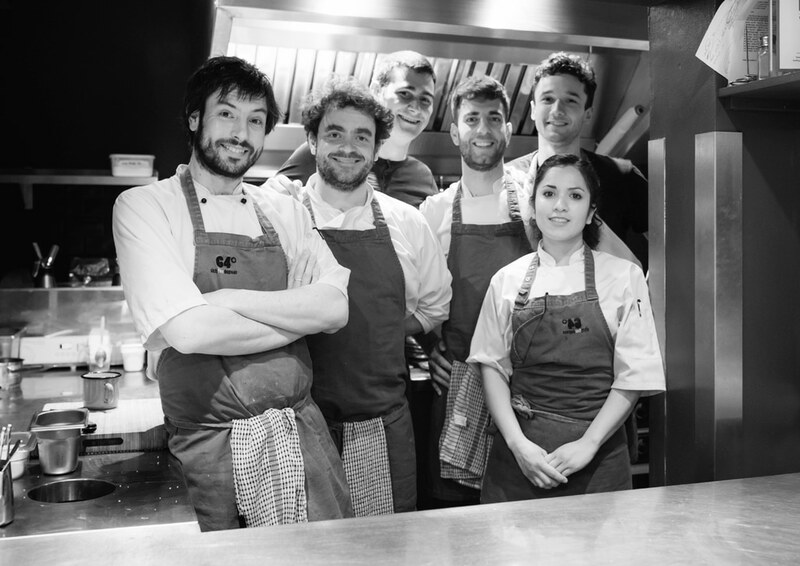 Sat at the pass and watched the chefs work their magic – the dishes were all balanced, tasty and innovative! Love this small venue vibe! A must try if in Brighton. Outstanding food that is a cut above most other restaurants in the city. Inventive and exciting, and very very cool. 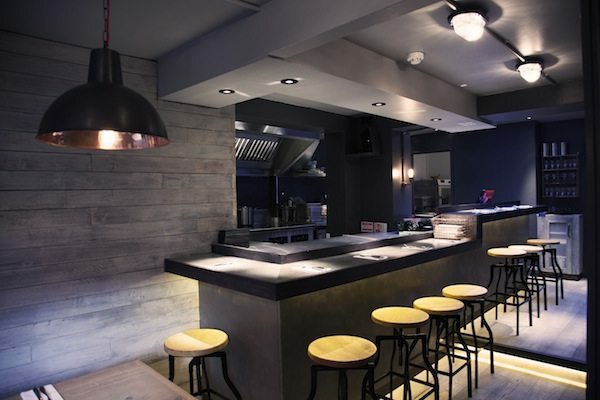 There is a reason it consistently gets voted as Brighton’s #1 restaurant every year. 5 out of 5 and the best food in Brighton by far! Went with four guests and we tried their whole menu. Affordable price point. Well done 64 Degrees!